The Executive Council consists of the elected and appointed officers of the Chapter: Basileus, Vice Basileus, Keeper of Records and Seal, Keeper of Finance, Assistant Keeper of Records and Seal, Assistant Keeper of Finance, Counselor, Chaplain, Chapter Reporter and Keeper of Peace, plus the Immediate Past Basileus. The Executive Council is chiefly an advisory body that works at the direction and under the leadership of the Basileus, providing council on the day to day administrative management of the Chapter and assisting the Basileus in the development, planning and implementation of directives, activities and reporting requirements in the operation of the Chapter, as directed by decisions of the Chapter Meeting and Iota Chapter Bylaws. Term of office runs November 1 through October 31 of each year. The Executive Council can take any appropriate action as necessary that ensures compliant operation of the Chapter, provided such actions are not inconsistent with, nor prohibited by, the actions approved by the Chapter Meeting, Iota Chapter Bylaws or by the Tenth District or the Fraternity. Other actions by the Executive Council on any other Chapter related matters can also be binding, but only during the interim between Chapter Meetings, and only to the extent that those actions address an urgency or emergency, but the Executive Council will have no power or authority to alter, change, or amend any action taken by an action or decision of the Chapter Meeting. President and Chief Executive Officer for the chapter. Vice President of the chapter. Coordinator of all Standing Committee activity. Chief Operating Officer and Secretary for the chapter. Chief Financial Officer and Treasurer for the chapter. Chaplain - Bro. Rev. Leverette Bryant, Sr. Spiritual adviser for the chapter. Counselor - Bro. 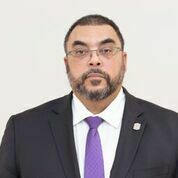 Clayton K. Harris III, Esq. Attorney providing legal counsel for the chapter, also acts as Parliamentarian. Submits chapter activity articles to QueMunicator & Oracle, also official chapter photographer. Charged with maintaining proper decorum in the meetings.